This is no ordinary cookbook. First, no cooking is done. And second, it describes a whole new paradigm in relation to food. Raw food is simple. Raw food is fun. 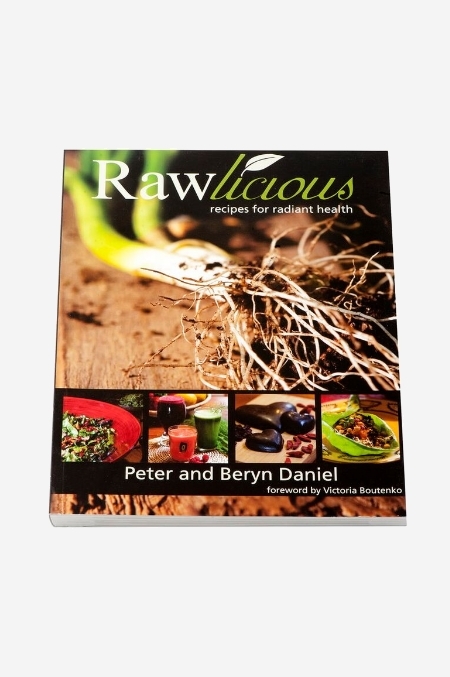 Raw food is delicious and raw food provides your body with the nutritional building blocks for abundant health, energy and vitality. With over 140 recipes, our un-cook book will guide you to prepare and experience raw food meals that will delight even the most hardened sceptic. The sky is truly the limit in terms of raw food - vegan equivalents for old favourites such as pasta, pizza, pancakes and may I add, chocolate – yes, you heard me right!